At VAPF, we like to stay up-to-date with the latest technology and we are working continuously to offer our clients the best options. Among our latest developments, we like to highlight Masterplan. Masterplan is a tool that we presented last February during the 2nd VAPF Agencies Convention. What is Masterplan? 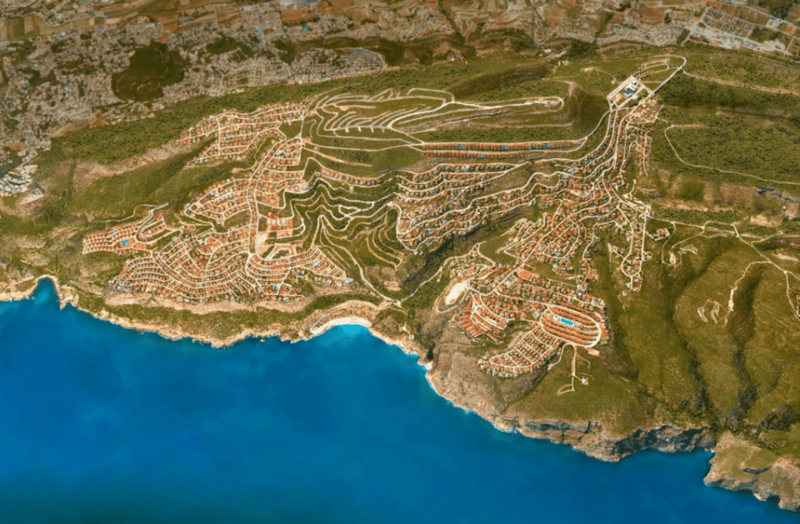 It is an interactive map that works as a guide, so that both our clients and agents can better understand the features of our developments at the Cumbre del Sol Residential Resort, as well as the leisure areas, amenities, and nearby natural parks. How do you get to it? You just have to go to the Cumbre del Sol Residential Resort website. When you click on “The Resort” in the top menu, another drop-down menu will appear and you will be able to click on the tab: Masterplan. Once you are in Masterplan, it’s simple to use as it was built to be intuitive and easy. In the menu on the left, you will find the different sections that you can scroll through: areas (zonas), developments (promociones), leisure (ocio), amenities (servicios), and nature reserves (reservas naturales). When you click on each option, you will see other options appear below. For example, when clicking on Developments (Promociones), the names of all those available appear, starting with Jardines de Montecala and ending with Blue Infinity. If you want, for example, to see where the Montecala Gardens development is; it’s as simple as clicking on Masterplan and on the Developments (Promociones) section, clicking on Montecala Gardens and the map that appears on the right will indicate the area where the development is. In addition, it will be accompanied by a “More info” (más info) button that when clicked, will take you to that particular development’s page where you can find all kinds of information such as price and images, as well as availability for the homes. We hope you enjoy our Masterplan as much as we do. Remember that, if you want to stay up- to-date with all the activities and news regarding Cumbre del Sol Residential Resort, you can do so through our blog and our social networks.